Made by pushing ink through a stencil, screen prints are iconic for their flat and bright pop colors. 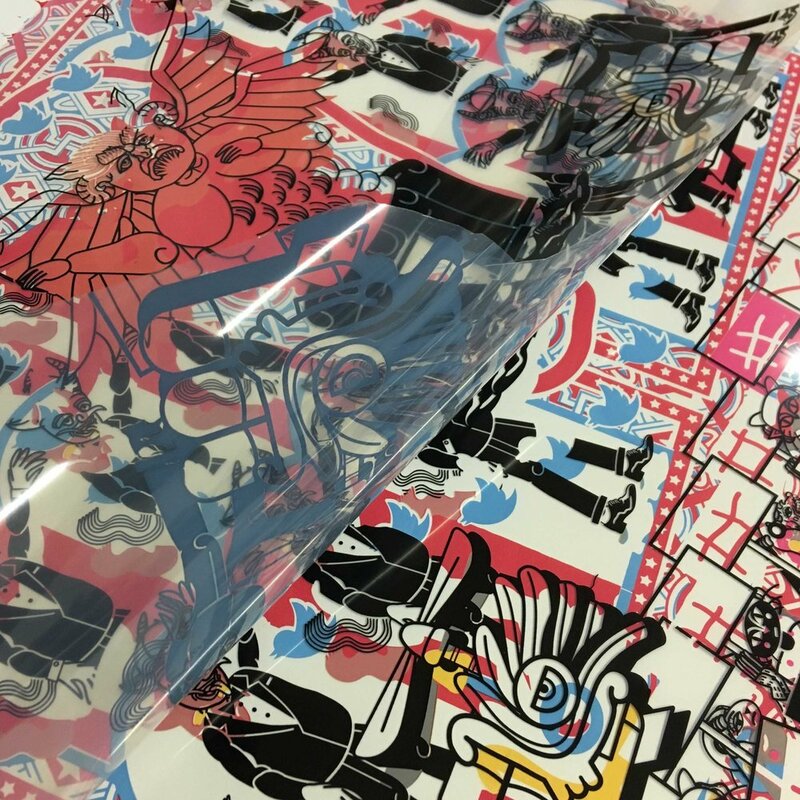 Each color layer is printed one at a time, requiring its own screen and stencil. At Overpass Projects we create limited edition fine screen prints using digital photo process as well as prints from color separations painted by hand.